Source2Source Inc. (S2S) is serving as a hydrotechnical engineering specialty consultant for an approximate $15 million Calgary Greenline SE Transitway crossing of the Bow River near the Bonnybrook WWTP (BBWWTP). S2S’ tasks included conducting detailed CFD modelling of flow in the Bow River under both low and high navigable flow conditions. The analysis results were used by S2S to recommend optimized bridge pier placement and orientation to mitigate against post construction navigation hazards. 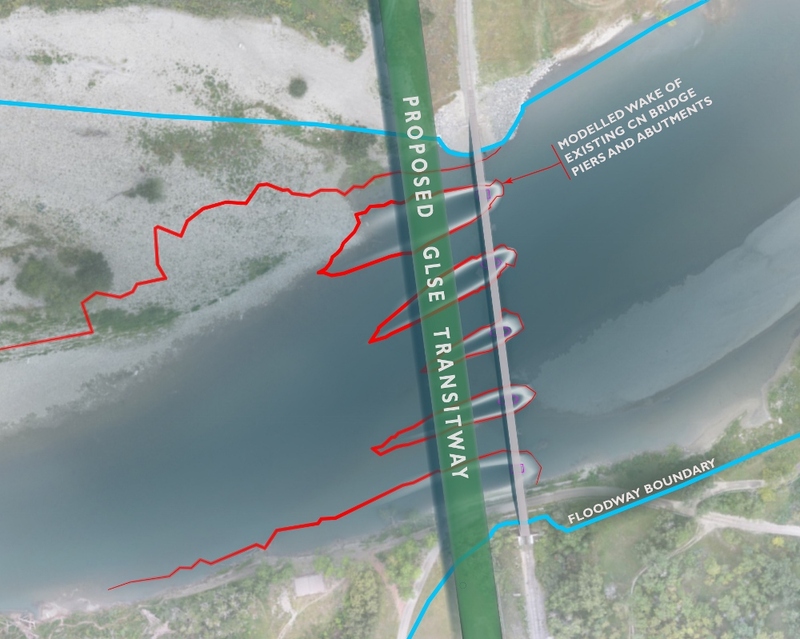 S2S is also performing CFD modelling of flow in the Bow River under a proposed cofferdam construction scenario to confirm navigation safety during construction.